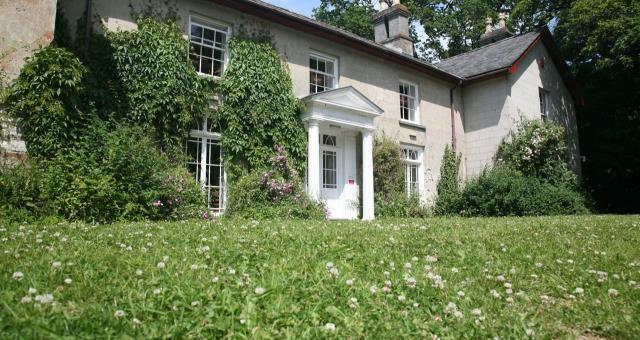 Plas Dolau (Country House Hostel)01970 617834work HostelThis country house hostel providing warm and comfortable accommodation for groups and individuals has family rooms and dormitories and sleeps up to 45. With two kitchens and lounges, it adapts well to large and small groups. We have full central heating, plenty of bathrooms, toilets, pleasant decoration and Fire Certificate. The North and South Wings of the mansion provide bunk beds in a variety of dormitories. There is a separate West Wing proving guest house style accommodation in three bedrooms: An en-suite family room, double and family room sharing a bathroom. The North Wing suite sleeps 18 in interlinked rooms with a washroom area containing 3 showers, 3 loos and 3 washbasins with an extra 3 washbasins in the bigger bedroom. The South Wing has 3 rooms: one with bedspaces for 3, a 6 bed space room, and a larger room that has space for 11 or 12. Each has its own washroom with loo and washbasin and extra washbasins in the big room. These three rooms share two showers and a bathroom with shower over bath and an extra loo - Small groups can be allocated private use of part of the washing facilities. The "farmhouse" kitchen is fully equipped with Aga, gas cooker, microwave, fridge and use of freezer space. The lounge-dining room has an extending table and a sitting area with colour TV, video and piano. A downstairs washroom provides an extra shower and loo with access from outside for additional guests in tents or caravan. We can provide full catering, up to full board and can cater for weddings, birthdays and other events. A continental breakfast is included in our prices and we can provide full breakfast at an extra charge. Packed lunches can be provided on request. By prior arrangement we can allow some use of the catering kitchen for suitably qualified people. The grid shows the prices and daily availability from Thu 25 Apr 19 to Thu 2 May 19. It's easy to check availability for particular dates; just use the calendar to choose the check in date, select the number of nights and click the 'Search' button. Click the Book Now or Book Direct button to book the highlighted days. With Book Now the bunk booking will be confirmed immediately, with Book Direct the bunk reservation will be confirmed within 24 hours.. This country house hostel providing warm and comfortable accommodation for groups and individuals has family rooms and dormitories and sleeps up to 45. With two kitchens and lounges, it adapts well to large and small groups. 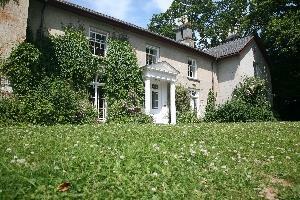 We have full central heating, plenty of bathrooms, toilets, pleasant decoration and Fire Certificate.